If you love antiques, flea markets, junk, garage sales, estate sales or any kind of treasure hunting what so ever, and you haven’t been to Round Top, Tx during Antique Week.. then you just. haven’t. lived. It’s by far my happy place. When I die spread my ashes in the junk fields. 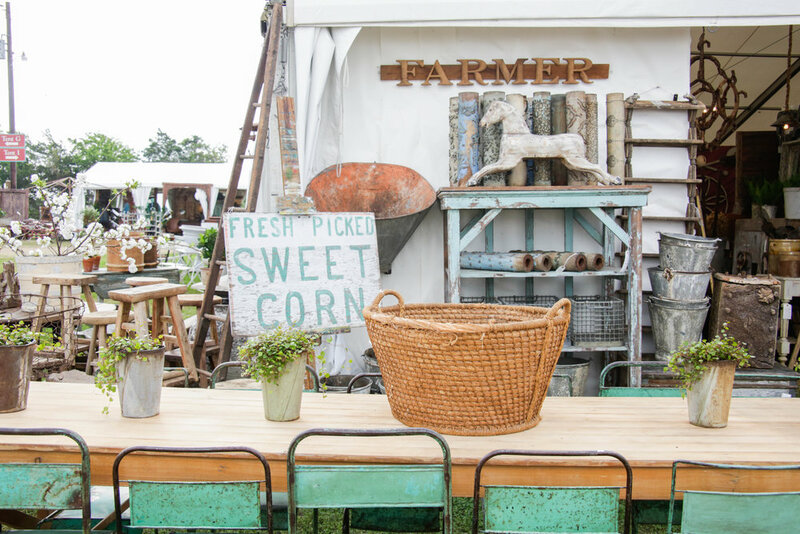 But until then, I’ve got the ultimate guide to navigating The Round Top Antiques Fair. 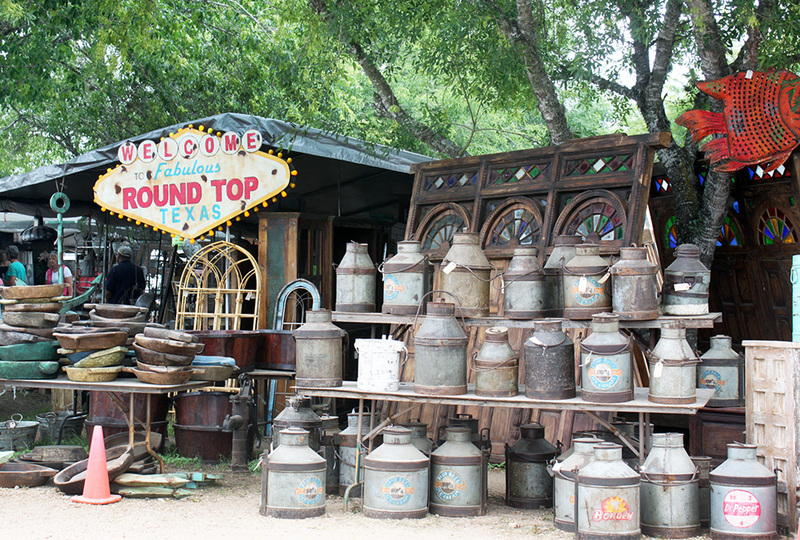 The Round Top Antiques Fair is one of the nations biggest and best antique shows. 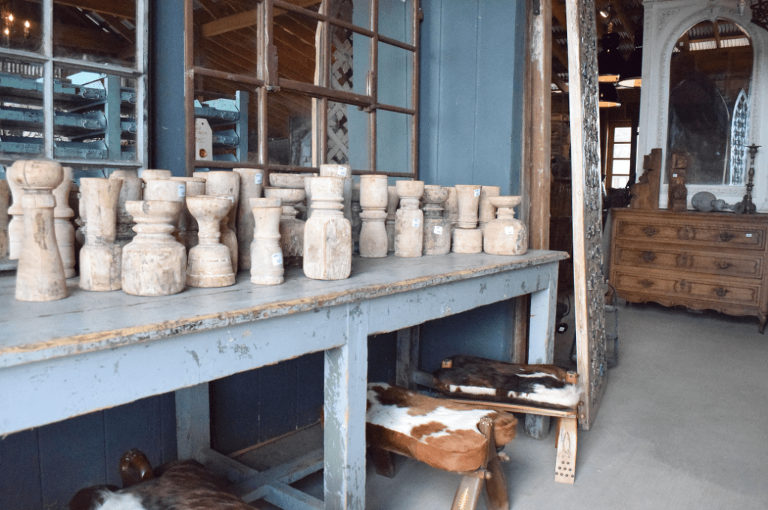 From VERY HIGH END European antiques to what looks like the world’s largest garage sale, there really is something for everyone & every price point. It happens twice a year, once in the Spring and once in the Fall. If you like old stuff, this is the most fun you will EVER HAVE! The fair actually extends over 26 miles and through a few tiny towns on HWY 237 in between Austin & Houston. And Round Top is the hub of it all. This sleepy little town is about an hour & a half outside of Austin and the drive there is breath taking. 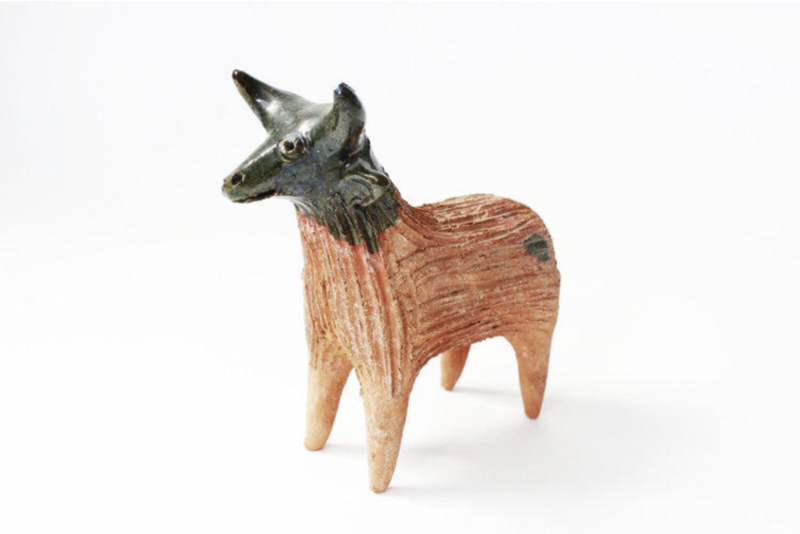 Peppered with bluebonnets in the Spring & longhorn cattle in the Fall. Comfy Shoes: The most important thing to remember is that this event takes place in cow pastures. I like to throw on my most worn in pair of cowboy boots because I know they will be the most comfortable for a day of exploring the fields. Hands Free Shopping: I like to wear a cross body bag but you can also bring a back pack or even a fanny pack. As long as your hands are free to dig and haul then you are good to go! Water & Sunscreen: It is Texas and the elements can be brutal in both Spring & Fall. I always bring a water bottle and the highest SPF possible. I also usually wear a hat for added protection. Disinfecting Wipes: You are dealing with other peoples junk. With that in mind, things are dirty, dusty & down right germ-y. I always bring some kind of disinfecting gel or wipes because water and soap isn’t readily available out in the fields. Also, port-o-potties are the only bathrooms. Glamorous, I know. CASH: It’s hard to haggle on prices when you are willing to accept a CC transaction fee. With that being said, most vendors do take credit cards these days. 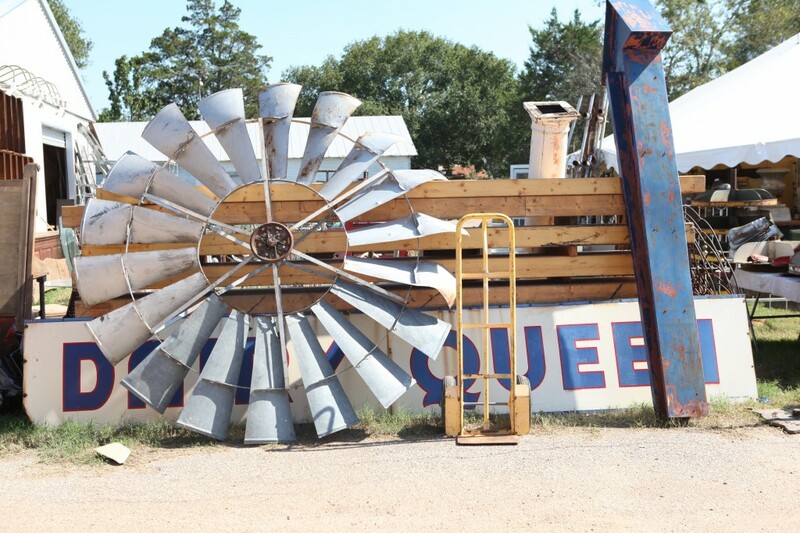 The one word that best describes The Round Top Antique Fair is OVERWHELMING. Covering over 26 miles, 64 venues & thousands of vendors it is impossible to do and see it all. But this year, I was determined to make a game plan to navigating the fair easily. Start At The Top: I like to start by visiting the most expensive booths first. Drive a little past downtown Round Top & you will come across The Big Red Barn & Marburger Farm. You won’t find any deals here but what you will find is inspiration for DAYS. The Big Red Barn is where the fair got it’s start 50 years ago. 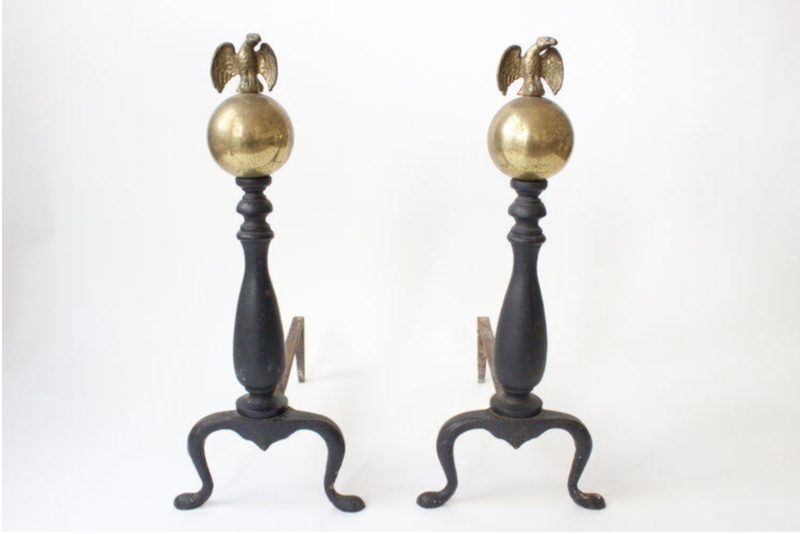 Inside you will find gorgeous antiques from all over the world. I recently fell in love with a pair of lucite mirrors for a cool $8,000! I love coming here first to see what the trends are & to learn more from real experts in the antiquities field. Curated But Still Pricey : Armed with my new knowledge, I head over to The Compound. This has got to be one of my favorite stops in Round Top. It is a giant barn filled to the brim of perfectly curated antiques & some beautiful junk. It’s show stopping-ly gorgeous inside. The prices can still be high, but this year I scored 2 stunning paper mache vessels that were on sale. If you look, and you ask, you can come away with unique treasures at a decent price. Pie Break: Now that you are fully inspired, it’s time to visit the more moderately priced vendors. But not before taking a pit stop for some pie over at Royer’s Cafe. You drive right past it so you kind of have to stop. Gab a slice of the Junk Berry Pie or the Texas Trash Pie. You can’t go wrong. Fun fact.. Royer’s catered my wedding! Let the Hunting Begin: After Royer’s head over to Ex.cess I & Ex.cess II. The barn stalls here are filled with vendors that have a little bit of everything. They are reasonably priced and you really can find some killer deals. This year I found a gorgeous Navajo Rug for super cheap! I had at least 4 people try to buy it off of me as I was walking around! Lunch with the Gypsies: Who has time for lunch when there is so much shopping to do!? Well, lucky for us the Junk Gypsies have it covered. Stop in to their flagship store for more shopping & then pop by one of the food trucks set up outside to enjoy lunch & live music out on their lawn. *PRO TIP* Don’t leave without getting a Nitro Float (Iced Coffee & Blue Bell Ice Cream). It will keep you going for the rest of the day! Hit The Junk Fields: The time has come to roll up your sleeves and dig through junk. Walking the junk fields in Warrenton is like exploring the largest garage sale in the world. It’s tent upon tent for miles of fun, crazy, cool & totally weird stuff. I LOVE this part of the day. By this time I have a pretty good idea of what I am looking for and who has the best price. Vendors here are always open to haggle so bring your cash & your best poker face. Give Those Boots A Break: After a full day of shopping, hunting and digging, cool down with a cold one at the famous Zapp Hall. Often they will have a great band and even serve burgers outside. 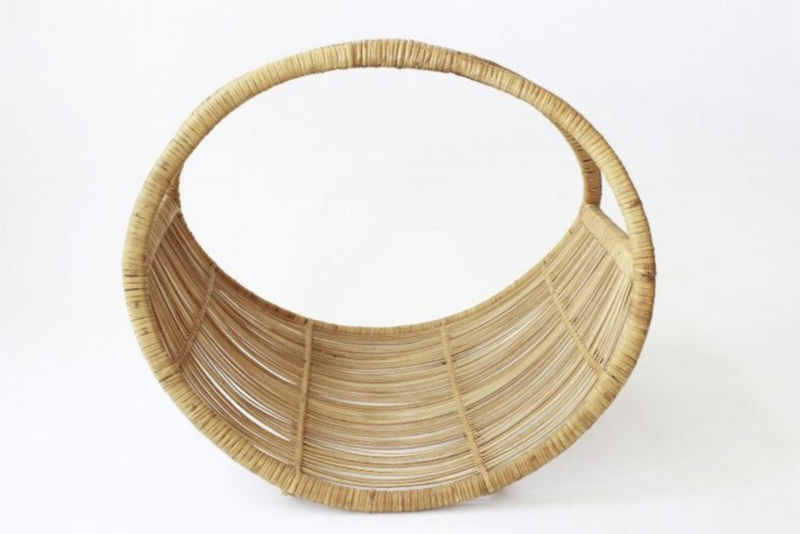 It’s a great place to end the day and recap all the fabulous treasures you found.